At home I almost never ate bread sticks. We were always buying salty little biscuits from Belin (French biscuit brand now bought by an American group). Mini-pizza was my favourite. However, we do not find them anywhere in Switzerland. 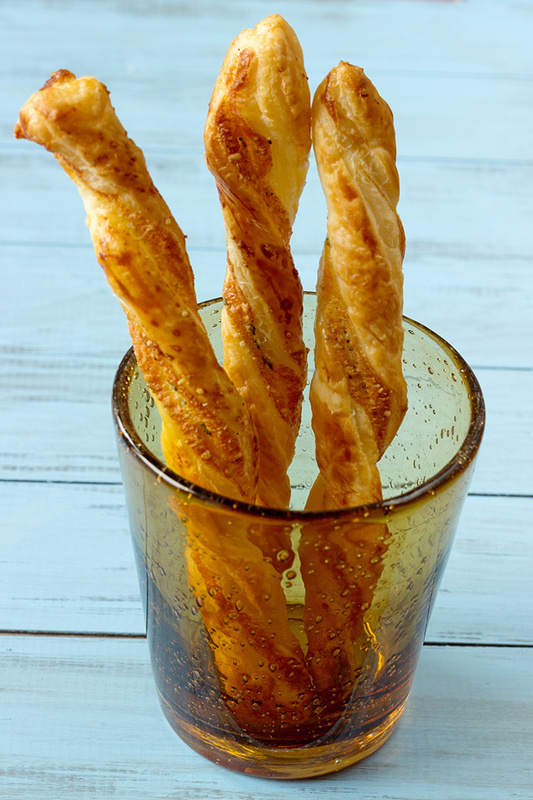 Strangely when I arrived in Switzerland I found out that we almost systematically get bread sticks for the aperitif. Especially in Adrien’s family. 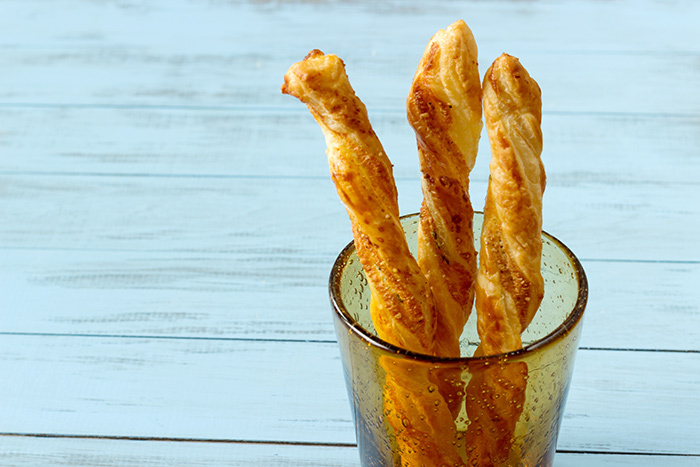 Bread sticks and a glass of white wine by warm or cold weather. 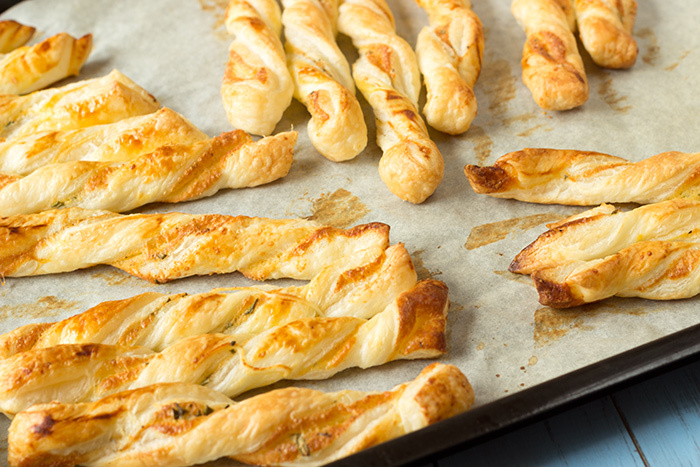 Some of the ones we find in our supermarket are fine, but I always wonder how I could make these little breadsticks on my own. You will find below how I made them. We had some friends coming over last week-end and guys eat all of them in record time. Mix egg yolk with water. Brush ⅔ of egg yolk on puff pastries. 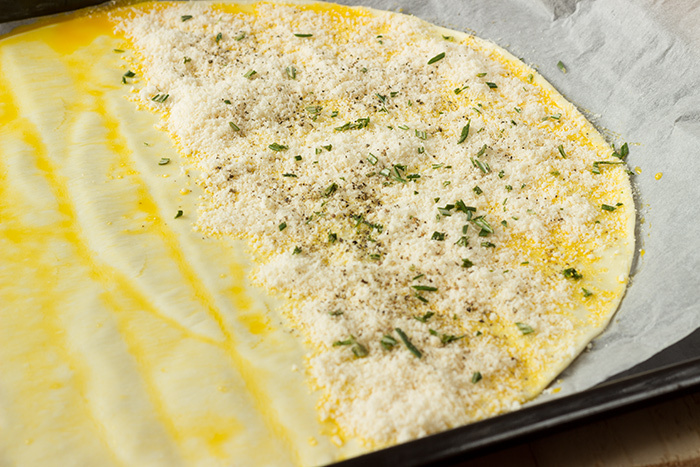 Spread parmesan, pepper and rosemary. 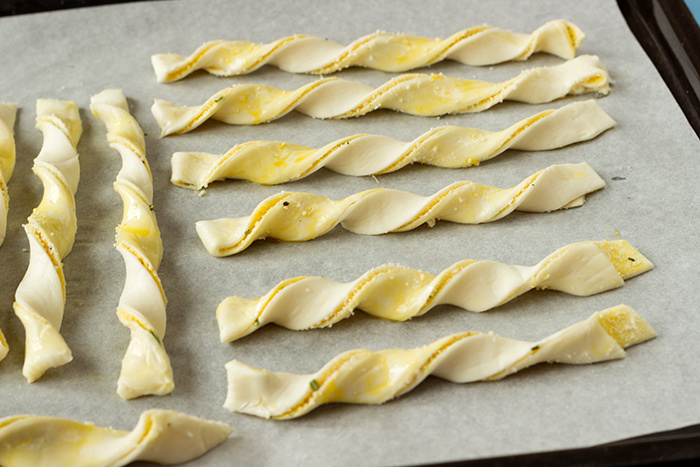 Fold puff pastries in half. Brush the rest of egg yolk. 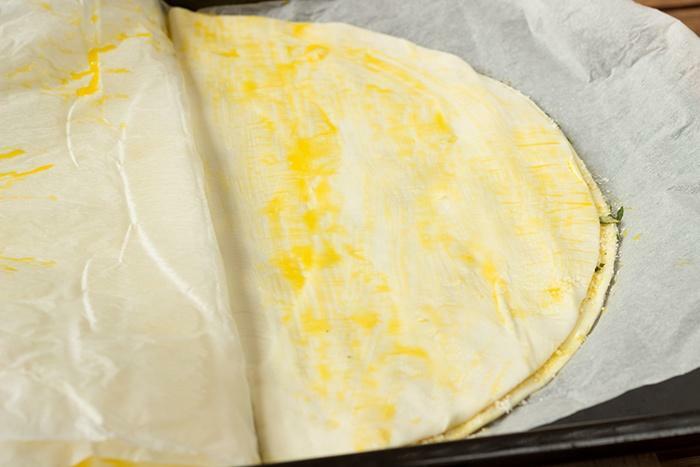 Preheat oven to 220°C and put a greaseproof paper on a baking tray. Cut strips (1.5 cm or 0.5 inch). Roll and put on baking tray. Bake for 13 to 15 minutes and leave to cool. Thank you for reading. Register to the newsletter or follow me on social media to receive the latest recipes of a French girl “cuisine”.